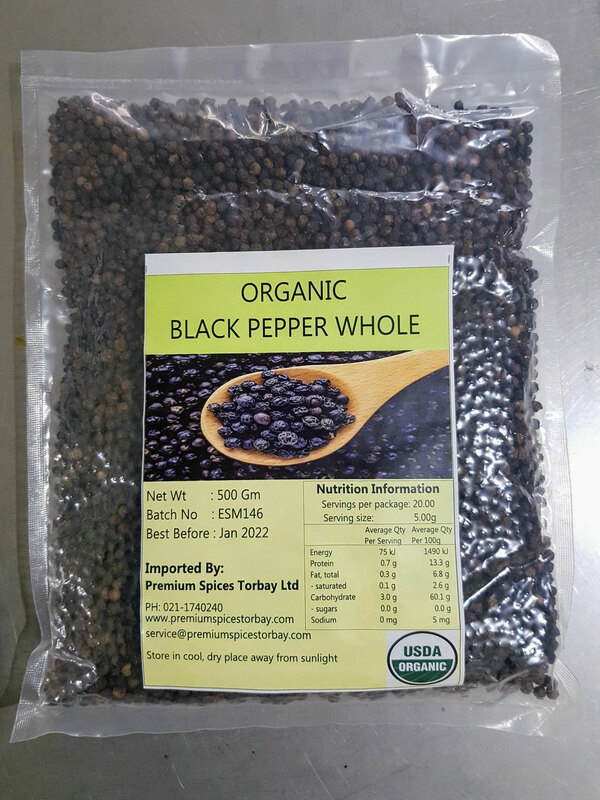 Taste and aroma: Black pepper has a fine, fruity fragrance with warm, woody, and lemony notes. The taste is hot and biting with a clean, penetrating aftertaste. White pepper is less aromatic and can smell musty. The flavour of white pepper is cleaner, less rich, and not as complex as black pepper. Culinary uses: Pepper is one of the most versatile spices. Although mostly used in savoury cooking and as a table condiment, it can also be used with fruits and in some sweet breads and cakes. Pepper brings out the flavour of other spices and retains its own flavour well during cooking. Other uses: Pepper has long been recognised as an ingredient for stimulating the appetite as well as aiding in the relief of nausea. In India it has been used as a medicine for thousands of years to treat anything from paralysis to toothache. Historical uses: In ancient Greece and Rome, taxes were paid in pepper. In the Middle Ages, pepper was used as money and at times was as valuable as gold. Storage: Black and white pepper rapidly lose their flavour and aroma when ground, so it is best to buy whole peppercorns and grind or crush them as required. 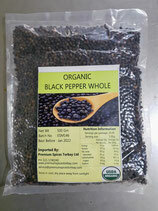 Whole peppercorns will keep for a year or more when stored in an airtight container.